The electronic shelf labeling system is mostly used in large-scale commercial super-cooling, cold chain temperature and humidity monitoring systems. RFID systems are widely used in logistics, warehousing management, the medical industry, and more. We can supply the RFID equipment and solution. 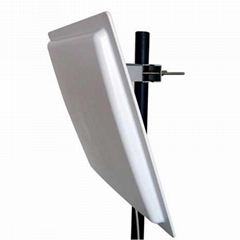 Widely supply the LF, HF, UHF, VHF tag/label, reader, antenna, handheld equipment. 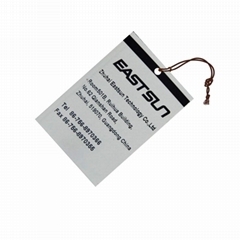 And special provide the On-mantel Tag, Tire tag, pallet tag, Needle tag, High Temperature Tag, Laundry Tag, etc. And can provide the RFID solution as personnel tracking and management system, positioning management system, logistics management and Vehicle management system, parking system, etc. 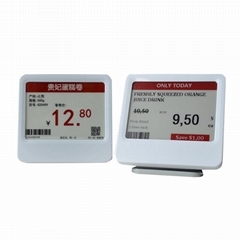 Electronic Shelf Label (ESL) is an electronic display unit that can be used to replace the traditional paper price label. The ESL system includes an active RFID system and any existing POS system. We can provide the active tags (the label), base station (tag reader and antenna) and the middleware. We can provide all the Acoustic Magnetic System, Radio Frequency System and Electro Magnetic System products and services. Include various frequencies soft label and hard tag, anti-theft host, antenna, detector, deactivator, detacher, ink tag, UPP Source Tagging, and safe box, etc. 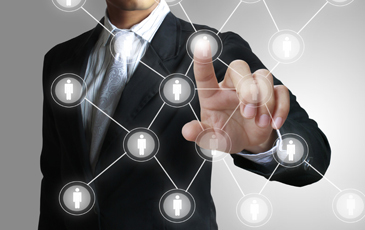 We are the distributor of the Sensormatic, Checkpoint and All-tag products. We provide the open display protection solution for the real digital products (such as Mobile Phone, Laptop, DC, DV, MP3, MP4, GPS Navigation, Netbook, Digital Photo Frame, and Electric Shaver), real experience, charging, anti-theft, MOD, DataStatistics, Remote Monitoring. Copyright 2003-2014 Zhuhai Eastsun Technology Co. Ltd. All rights reserved.